1. Stainless Steel strip and Nylon brush, anti-rust and durable. 2. UV stabilized, dependable, long-lasting, cost-effective. 3. Brush greatly reduce the infiltration of light, air, wind, rain, and snow, prevent heat loss, control the penetration of smoke and fumes. 4. 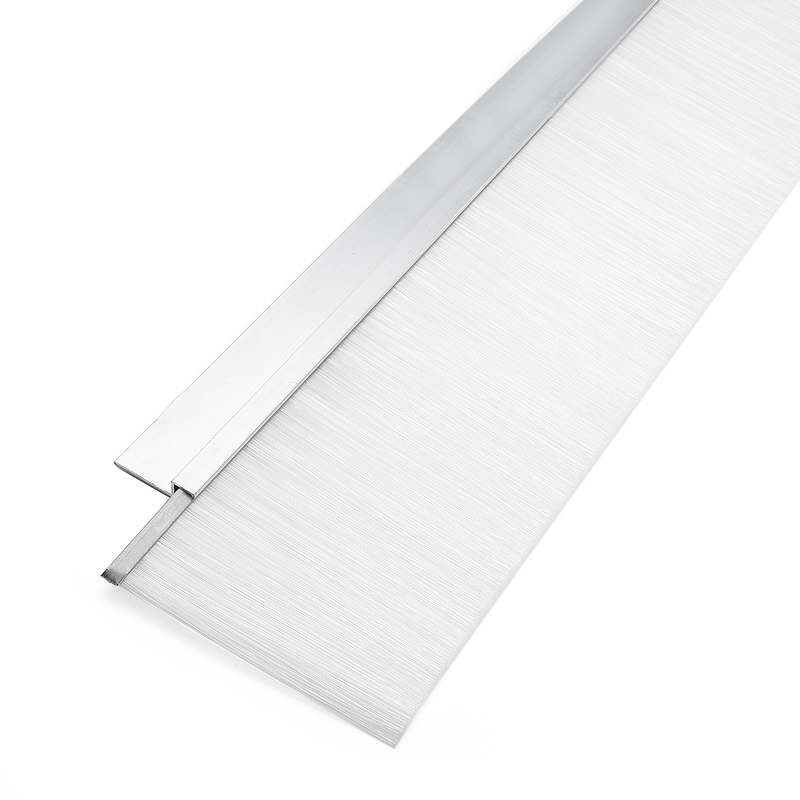 Brush Door Sweeps are designed to seal the gap between the bottom of the door and the top of the threshold or floor surface. 5. Widely used on escalator, elevator, door etc. UV stabilized, dependable, long-lasting, cost-effective. Brush greatly reduce the infiltration of light, air, wind, rain, and snow, prevent heat loss, control the penetration of smoke and fumes. Brush Door Sweeps are designed to seal the gap between the bottom of the door and the top of the threshold or floor surface. Widely used on escalator, elevator, door etc.